Wat Phra Chettuphon Wimon Mangkhlaram Ratchaworamahawihan or Temple of the Reclining Buddha or popular as Wat Pho is Buddhist temple located on 2 Sanamchai Road,Phra Nakhon district, Bangkok, Thailand. 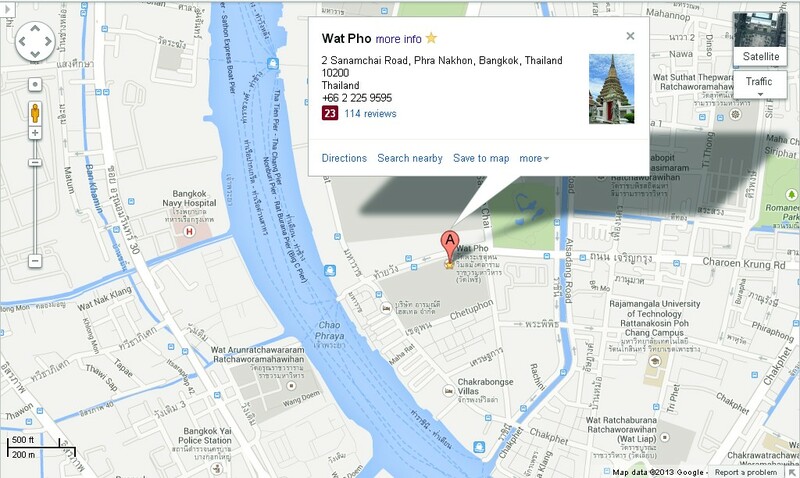 This Reclining Buddha Temple/Wat Pho become famous travel Destinations and Attractions in Bangkok. 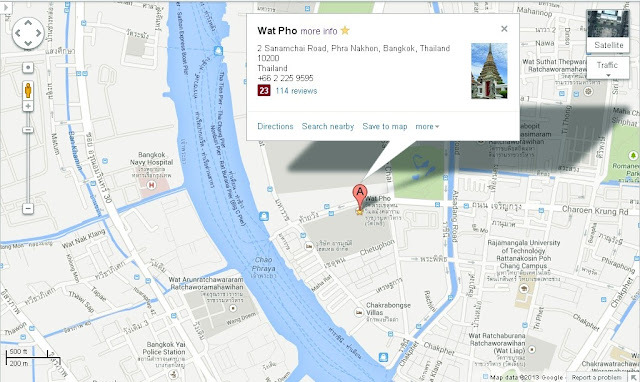 For easy get street direction better you see Wat Pho Location Map.